30 years ago I wanted to write – The Architecture of Marketing Communications. I’ve devoted a career to marketing. Today, that book would be woefully outdated with all the changes we face marketing our businesses. What has not changed, is growing our businesses in a meaningful and sustainable way to makes us happy and comfortable in retirement. Obtaining the rewards we seek at the end of our journey. In just 7 years, my wife, Dr. Pamela Gerds and I created Advanced Care Pet Hospital in Sartell. Everything I learned helping my employers throughout my career, all came together in this venture. We achieved the the freedom and financial security some business owners take a lifetime to accomplish. Taking a lesson from my wife, “Doing Pet Medicine Right,” I’m setting out to do the same for growing small businesses. That is, “Doing Small Business Marketing Right.” At the core of this philosophy is the building closer customer relationships with high levels of creativity using a wide range of media all at a reasonable cost. Nimble, Agile and Responsible. Providing solutions that are innovative, efficient and versatile given today’s digital and traditional media. The work characterizes my approach to helping small business owners in that, “U-Pick” the marketing priorities you want and need my help to accomplish. I provide down-to-earth, one-to-one, marketing experience to help you solve marketing problems. My goal is help a handful of clients on a long-range basis providing the kind of care and expertise you might get from an employee but doing so on a freelance or 1099 form basis. My first marketing communication plan was written in 1981 under the tutelage of Eric Sommers at the University of Stevens Point Wisconsin. 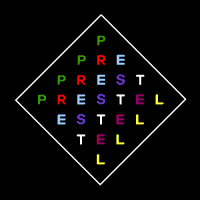 The client was an interactive videotex system from the late 1970’s, commercially launched in 1979 called Prestel – (Wikipedia Link). Our Slogan, “Your Access to Success” was one of the top 5 recognized in the class. Somewhere floating around in my library is a copy of Literary Machines published in by Ted Nelson – Wikipedia Link in 1980. 35 years later I come around again in the great circle of life and find myself working on and writing for, a greatly expanded realization of that vision. I describe myself today as a Content Designer. Content design is making sure your website reflects your business. A more in-depth understanding of content design, in the context of marketing communications, incorporates your user’s journey to learn about you, your service or product, and structuring your website to accomplish your goals.